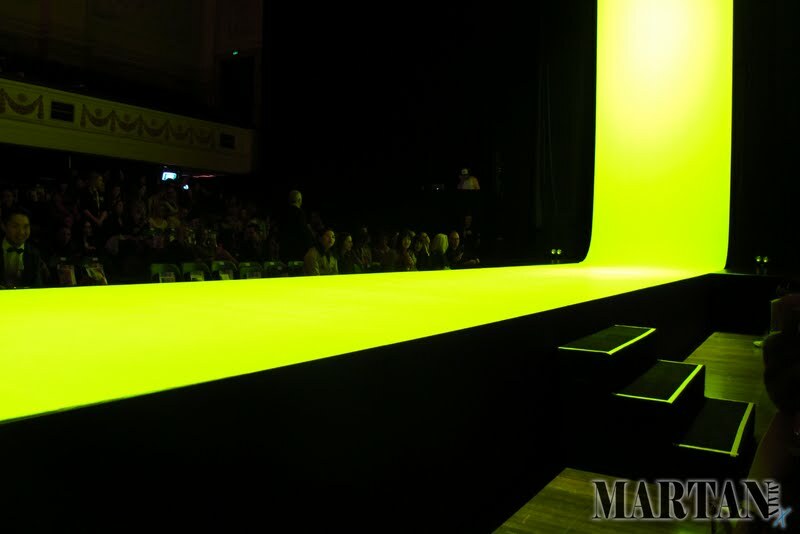 Last night was the final Runway Show for Melbourne Spring Fashion Week. 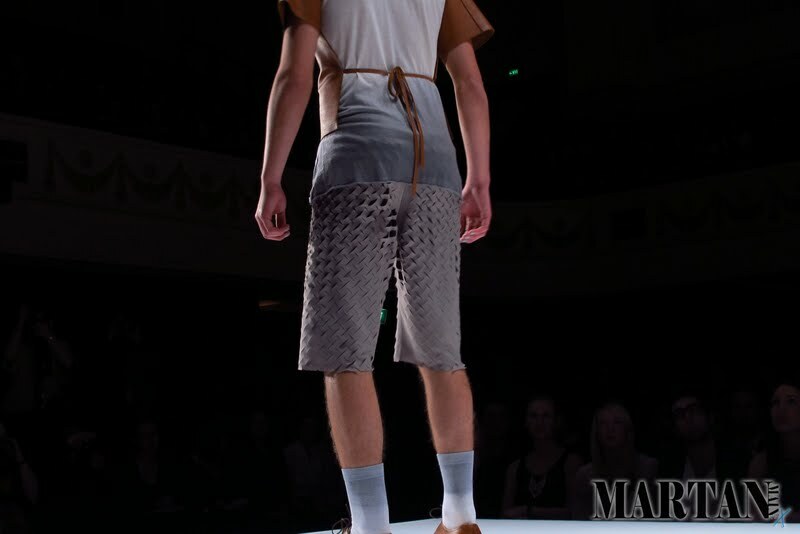 Both shows featured look from RMIT Students. Krystal and I had VIP access to the Platinum Bar at the Melbourne Town hall, with Cointreau Cocktails and Laurent Perrier Champagne. 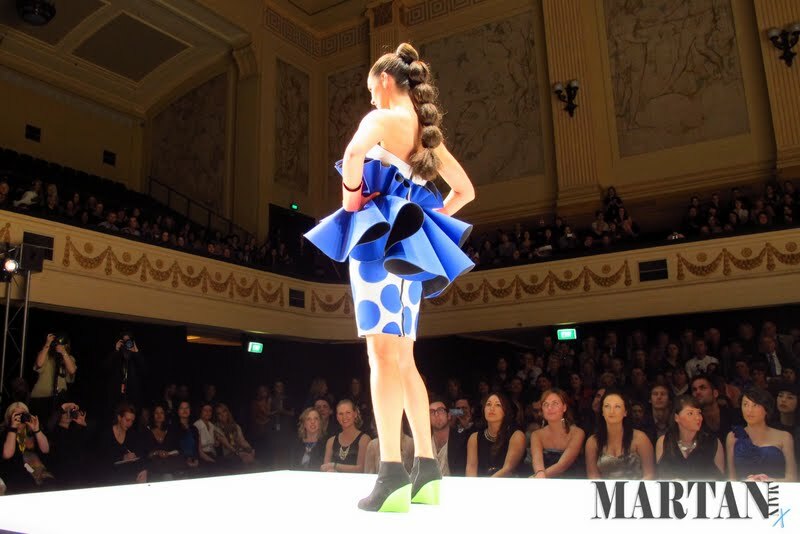 Runway 2 had 15 student looks by Jessica Hendrick, John Gosper, Mira Hartanto, Sophie Jacobs, Jane Fuge, Jacinta Oliver-Cook, Anthony Tandiyono, Melissa D'Augello, Renee Le Hunt, Molly Herben, Katie Dickenson, Christina Exie and Ju Young. 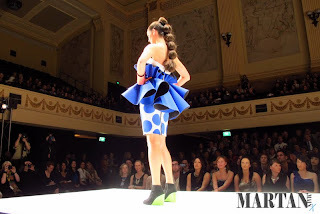 The show featured a variation of looks, from Graphic Brights from John Gosper, Nature inspired looks by Anthony Tandiyono and Ju Young and Avant Garde silhouettes by Molly Herben. 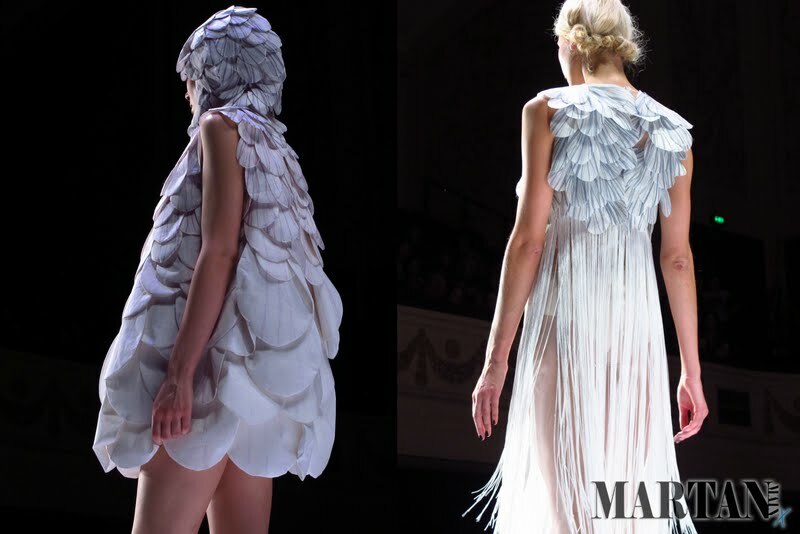 My favourite look was by Anthony Tandiyono with his yellow dress (above) A very chic dress, love love loving the detail and texture.